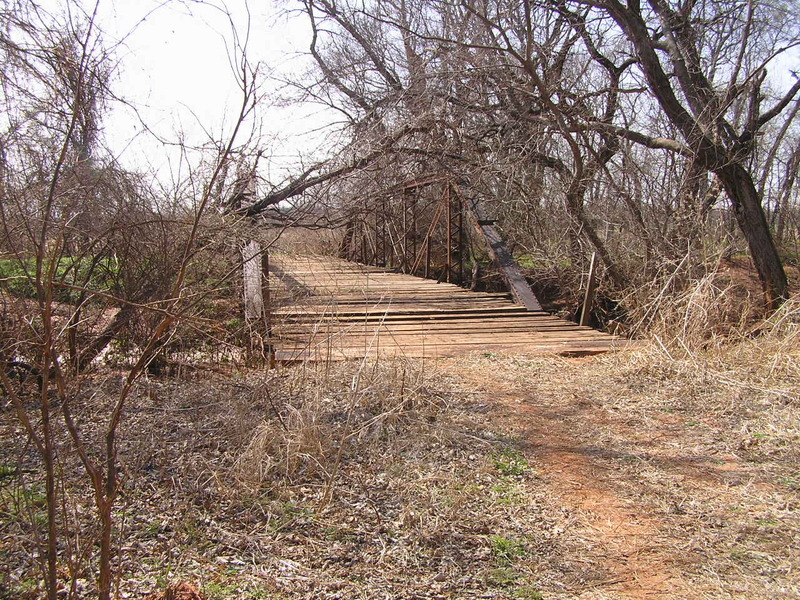 Now standing abandoned, this pin-connected Pratt pony truss once carried Corn Forth Road (EW0855) across Deer Creek. Built in 1910, it stands in largely unaltered condition. 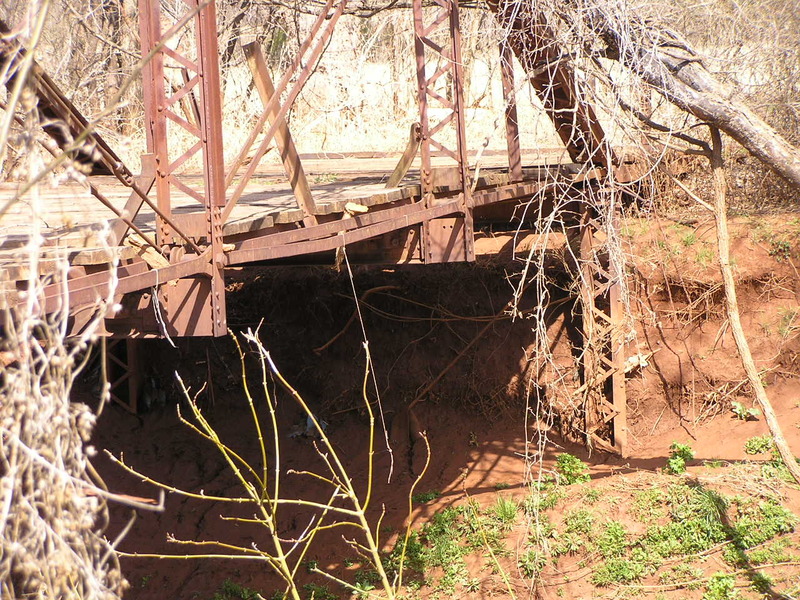 Above, an overview of the bridge in its rustic setting. 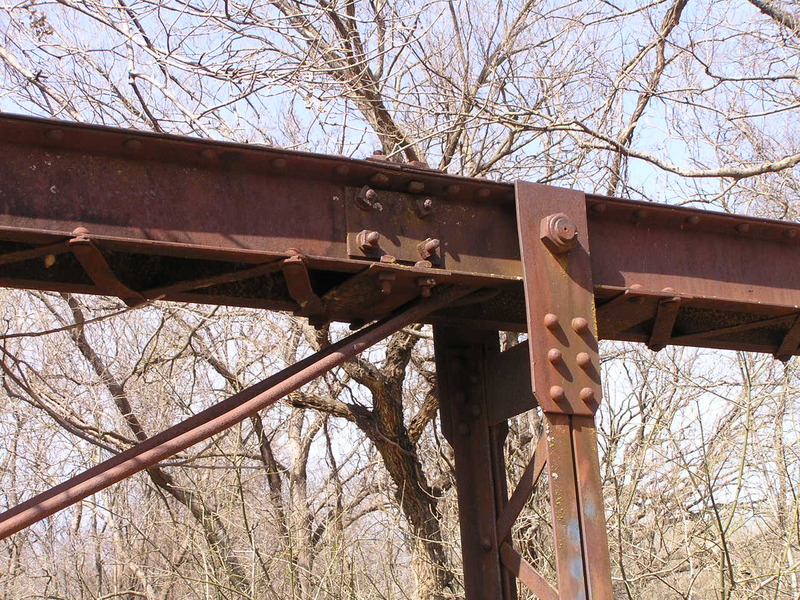 Below, the bridge is 5 panels long and has steel stringer approaches. Above, a view of the bridge from the side. Note the laced channel pier at the far end of the bridge. 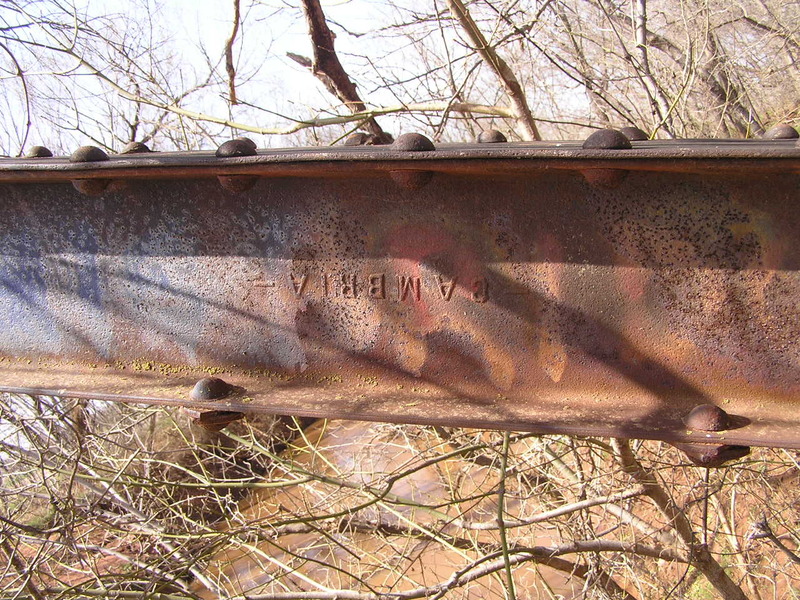 Below, the Cambria steel mark on one of the endposts. Above, another view of the laced channel pier. 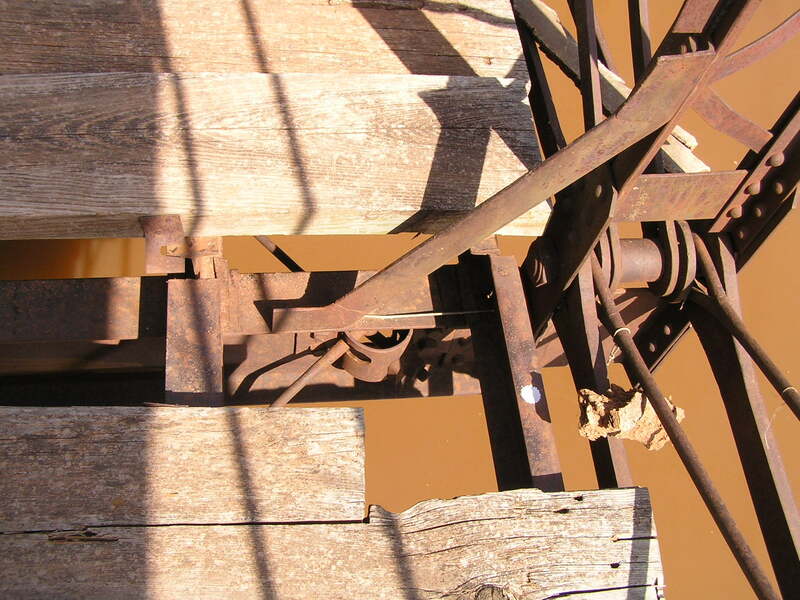 You can also see one of the diagonal tension rods which braces the pier. 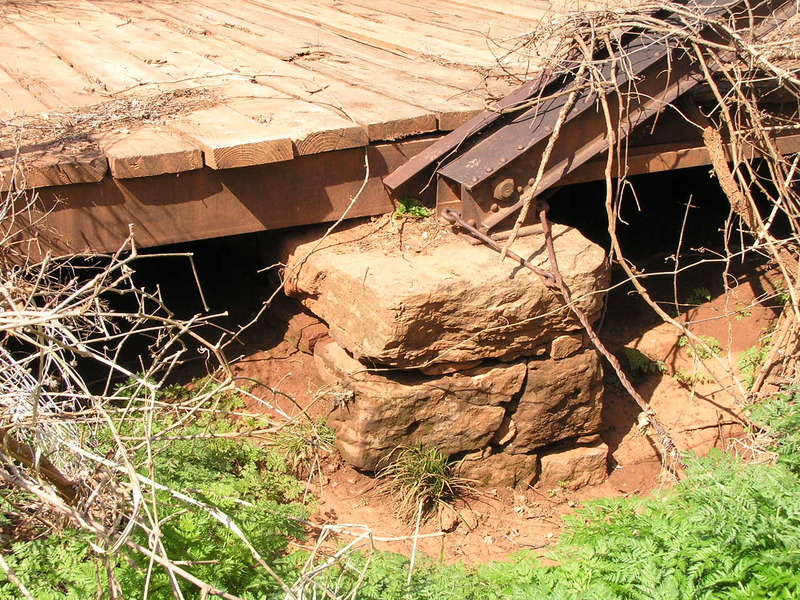 Below, a stone pier supports the other end of the span. Above, a typical lower chord panel joint. Note the knee brace connecting the floor beam to the vertical. Below, a typical upper chord joint. Note also the field connections using bolts where the channels meet. 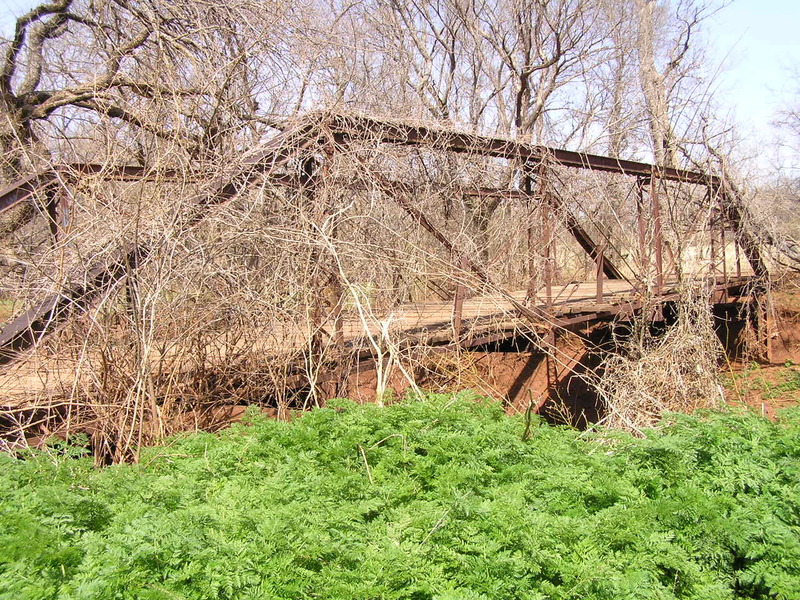 Above, another view of the truss. 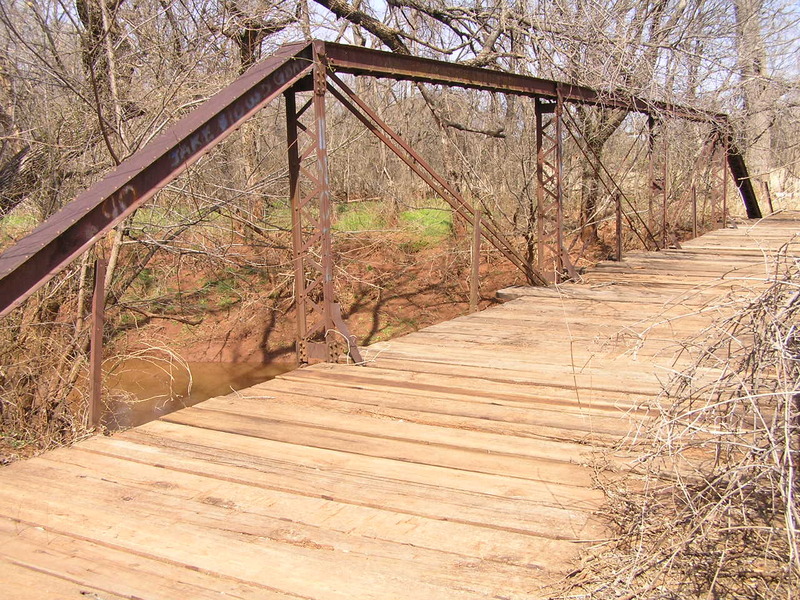 Being in southern Logan County, urban development is quickly creeping up to this bridge. 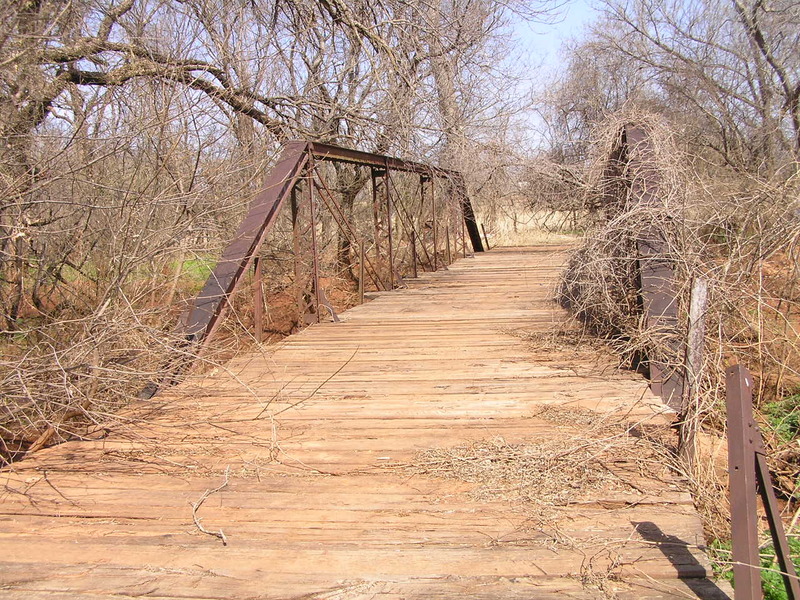 Several large subdivisions are less than a mile south of this bridge.